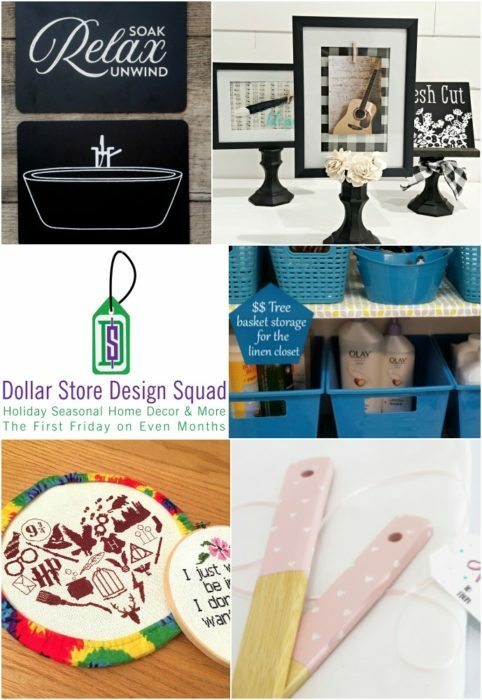 Thank you so much for joining us again this month for another Dollar Store Design Squad, where we team up with a few of my bloggy friends to bring you Dollar Store inspiration. 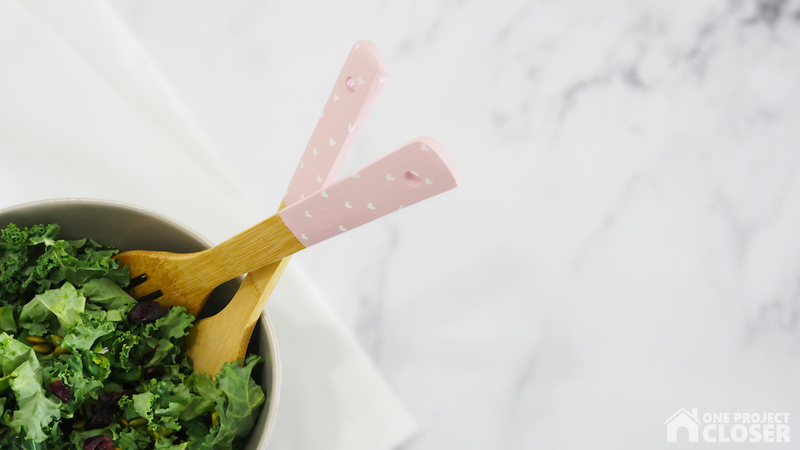 Love is in the air this month with these simple but festive DIY paint-dipped wooden utensils PLUS a free printable gift tag. Buy your supplies! 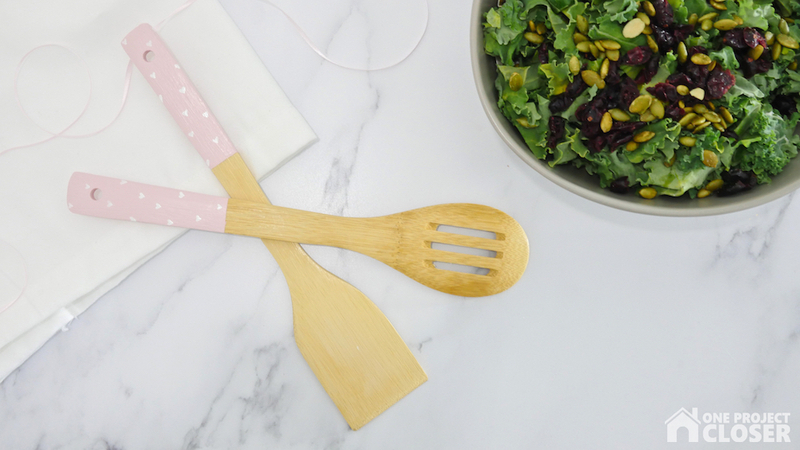 These super cute bamboo utensils were only a $1 each at our local Dollar Store and just asking to be painted. Okay, there aren’t many steps, but you can handle this a couple of different ways. You can just dip that sucker in a bottle of paint, tape off and spray paint, OR (this was my chosen method) use a paint brush. I decided to paint it with a brush rather than spray paint or dip because I didn’t have a ton of paint and its too freaking cold right now in MD with the polar vortex. 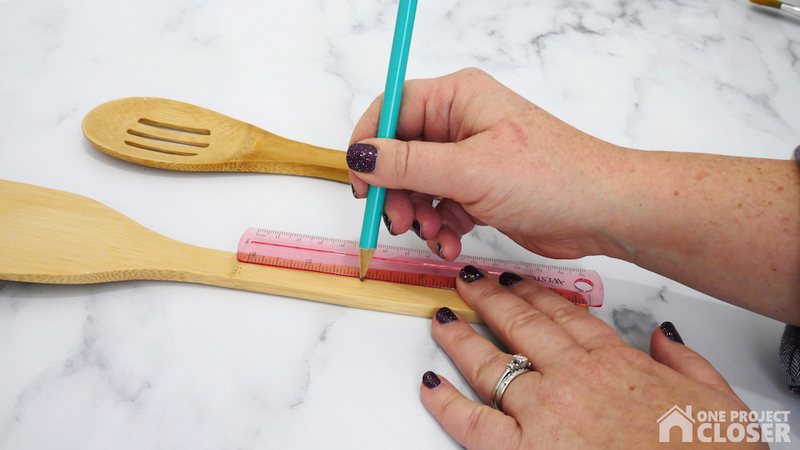 So, grab a pencil and measure down four inches on each side of the bamboo. On the line, wrap blue tape all around and press down tightly. 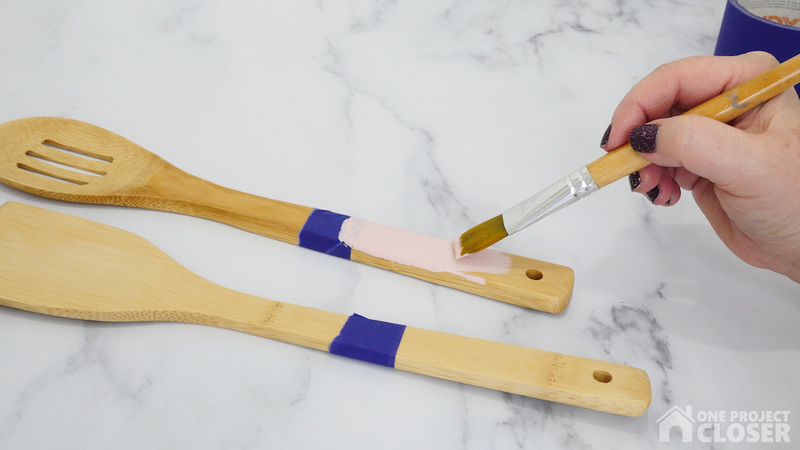 Use a paint brush to apply acrylic paint in long strokes. 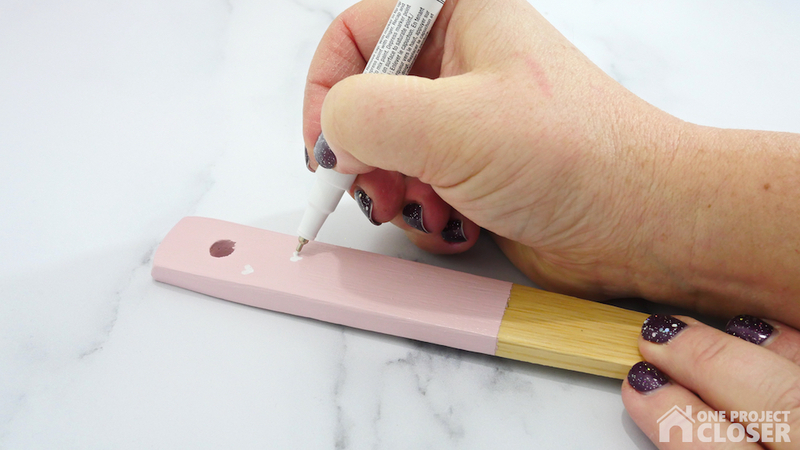 In between coats, you can lightly sand to reduce appearance of brush strokes. I painted three different versions – pink, white, and gray. The pink is my fave!!! I’m low key obsessed with color “Rosebud” from Craftsmart. It’s everything! You may need to paint four or five coats. Let dry between coats – I used a hair dryer to speed the process. Make sure it is thick and even. I put them in a mug to dry since you can’t lay them flat. 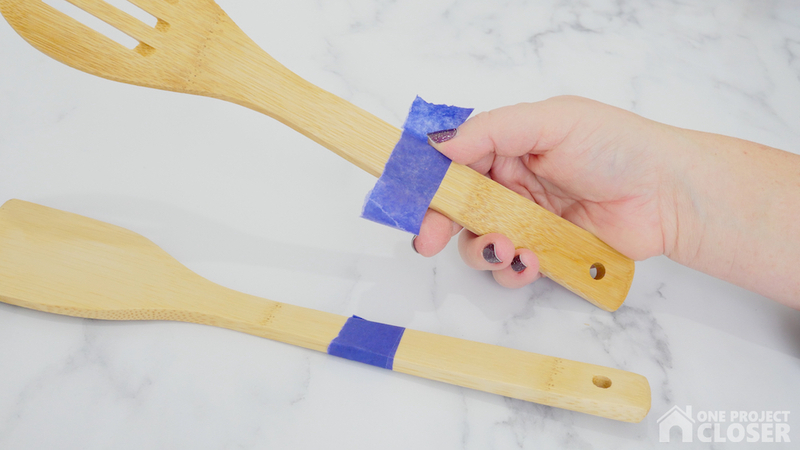 Once thick enough, remove the blue tape. Using a super fine acrylic marker (Posca is my fave, but you can also use Craftsmart or Sharpie Oil Based), draw sweet little hearts. Don’t worry about perfection, just try to make them all roughly the same size and orientation. Don’t they just look adorable???? 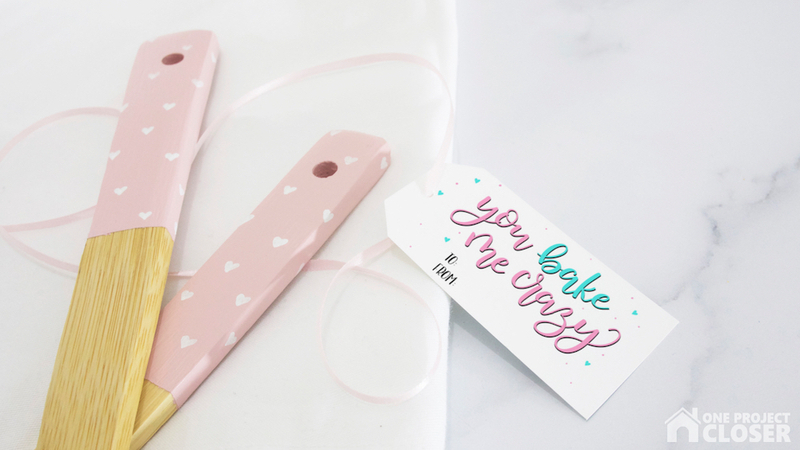 Tie a ribbon and attach a gift tag to share with a friend! This printable is available exclusively for my newsletter subscribers. Not only will you get this printable FREE but ALL the hand lettered printables I’ve created plus SVGs! What are you waiting for? 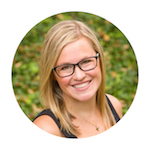 Sign up for my newsletter! 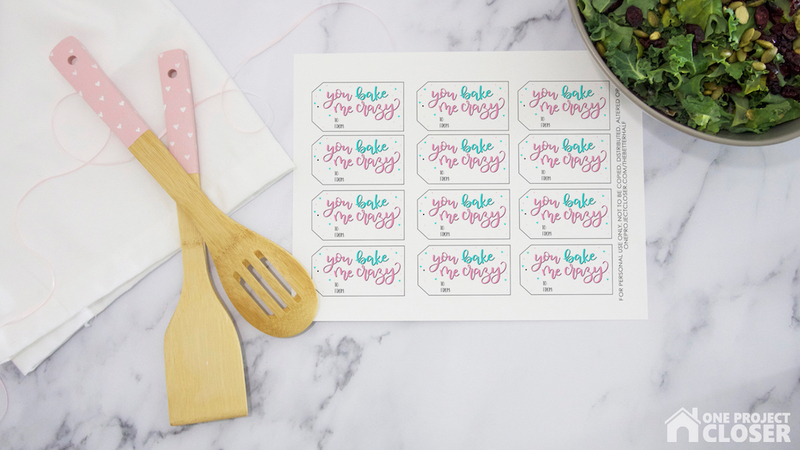 My subscribers get unlimited access to tons of free printables and SVGs anytime they want them. If you are already a VIP, check you email for the most recent newsletter which includes the password and link with the special VIP section of our blog. Become a VIP + get freebies now! 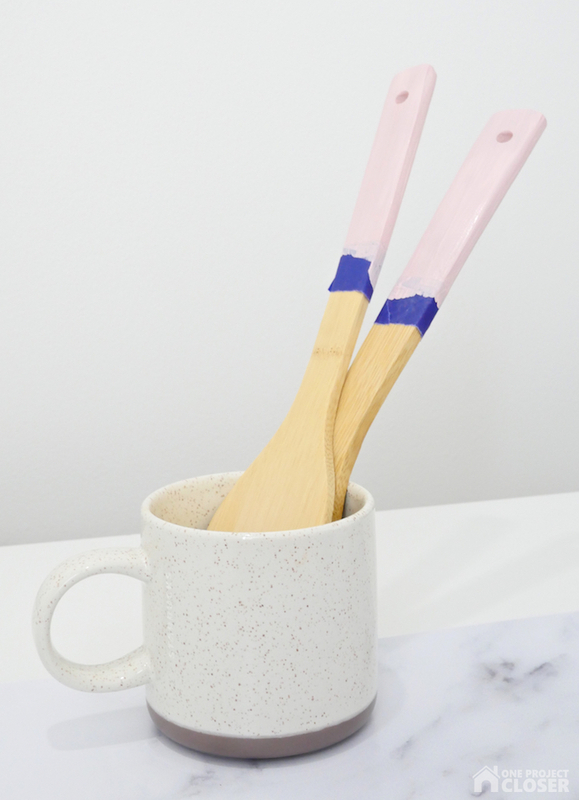 I hope you enjoyed my DIY hand-dipped wooden utensils tutorial. 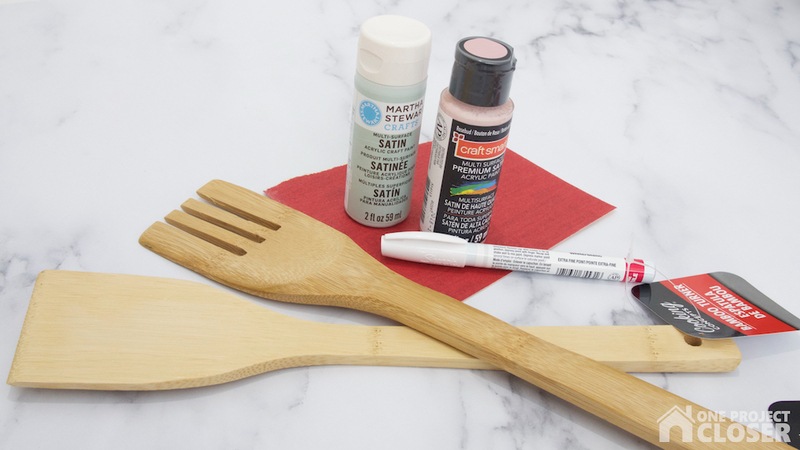 If you’re feeling inspired for Dollar Store crafts, we’ve got you covered with four other great projects! 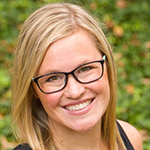 Love this project and want to share it with you friends or save it for later?? Pin it! 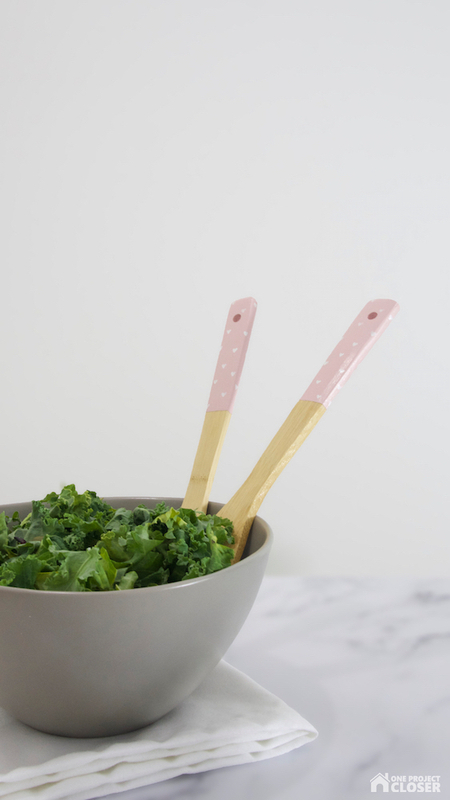 These wooden utensils are sooo cute. I love the tiny hearts. But these would be great with so many tiny designs. thanks for joining in this month. These are so cute. I did 70 mixing spoons for my daughters wedding a few years ago. I dipped in pink and then put navy stripes, the wedding colors. 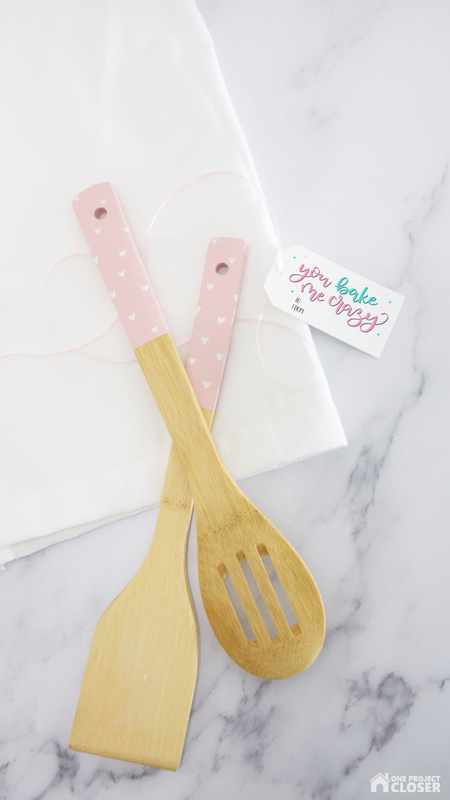 I tied 2 spoons together with a small cello bag of Great Grandma’s wedding cookies. I added a tag that had the recipe n one side and the bride and grooms name on the other. I also requested a recipe from the guests, and I made a recipe book to hold them. Holy Moly, Jennie! You win the prize for the BEST mother of the bride ever. What sweet and thoughtful favors!! !